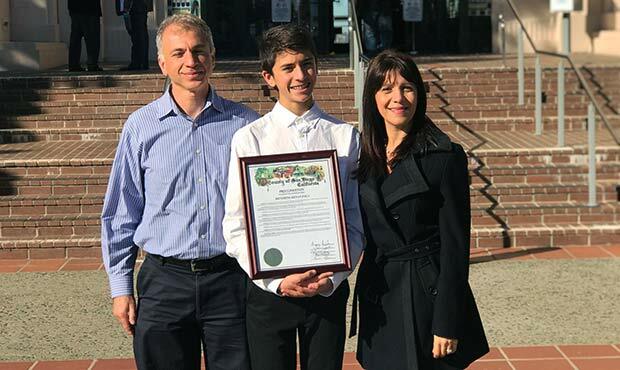 Kenan Pala is only 13 years old, but you wouldn’t know it by his impressive list of accomplishments. At 11, Pala competed in his first triathlon. At 12, he set a Guinness World Record, while also donating 6,000 boxes of cereal to local food banks. And at 13, he founded his own registered nonprofit, Kids 4 Community, with his family and friends. There’s even an official Kenan Pala Day in San Diego. Last year, his commitment to nonprofit work also earned him the Prudential Spirit of Community Award, the United States' largest youth recognition program for community service. It may seem like Pala has enough on his plate—did we mention he’s still in middle school?—but he has no plans of slowing down now. He’s currently working with Kids Tri Hard, a clothing company that makes kid-specific triathlon gear, and getting ready to host Kids 4 Community’s first 5K event, Bright Futures 5K, in March. 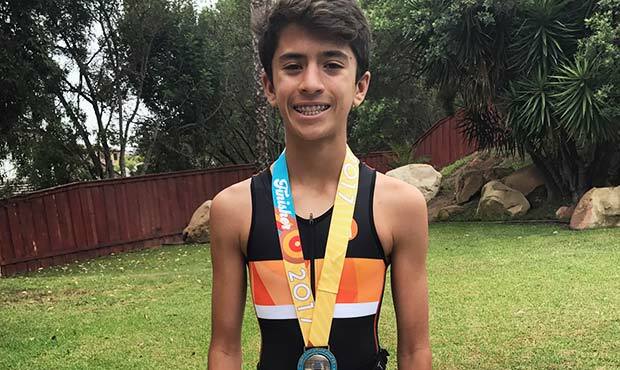 We talked to Kenan about how he manages his triathlon training and community service work, plus the reason behind his focus on homelessness and how other kids can get involved in their own communities. ACTIVEkids: First things first, what inspired you to start competing in triathlons? What distance do you compete in now? Homelessness is a big problem, and from what I saw, we’re not really aware of it as a community. I just wanted to do something. How did you become interested in the issue of homelessness? Tell us a little more about how Kids 4 Community came to be.